This is the third Leitner-Poma high speed quad in Vail’s Back Bowls, with three more in Blue Sky Basin. 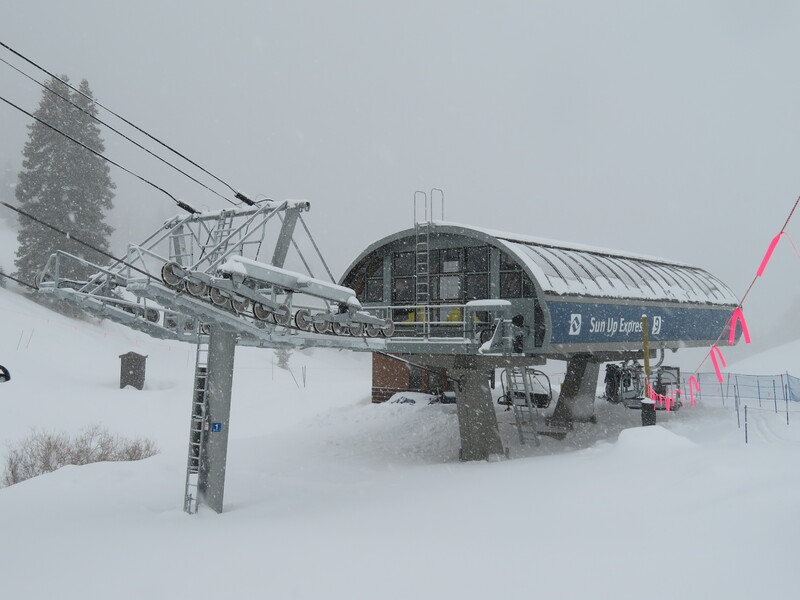 Most of the lift is above tree line. Side view of the top terminal. This station sits adjacent to the Teacup Express. I actually consider this style of lifting frame to be very retro because it’s kinda like what many Poma lifts in the 1980s used. 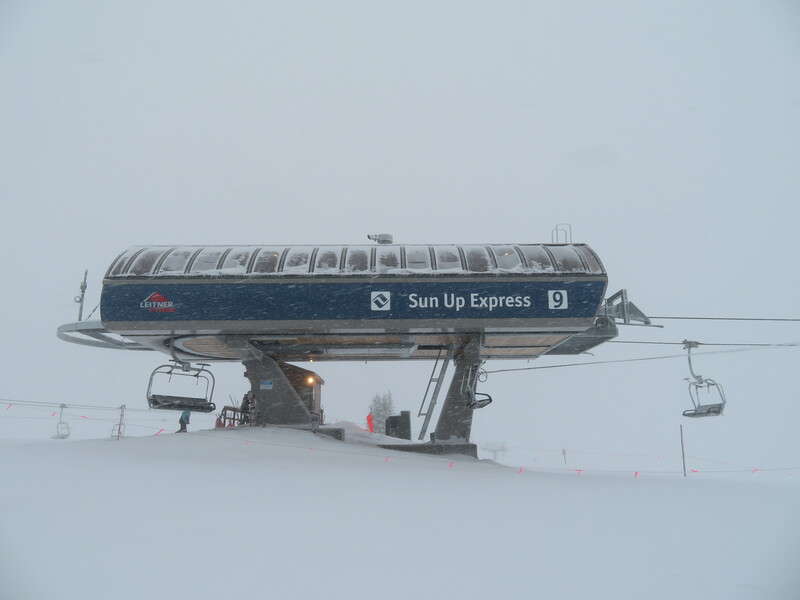 On a technical level, this lift’s real differences from the High Noon Express are that it has the newer style lifting frame as well as LPA chairs instead of Omega chairs. But it’s not an outlier for having LPA chairs since the Northwoods Express lift has them as well.